What Is Microblading Of Eyebrows? Home > Health & Lifestyle > What Is Microblading Of Eyebrows? Makeup has now reached a new zenith with the accompanying techniques and technologies. Makeup technology and cosmetic surgery are breaking records one after the other and achieving new milestones everyday. While in present day makeup trend, eyebrows have got a special place. People are going crazy over dark eyebrows, colored eyebrows and what not. There are plenty of makeup products available for eyebrows, but what if the person doesn’t have eyebrows? Many people are blessed with thick eyebrows which can be styled, painted and dyed in any manner. But not everyone is that unfortunate. Many people have sparse and thin eyebrow which is literally not visible. It can be recreated with makeup. However, there is now a new cosmetics technology available for eyebrows. It is called microblading. Microblading is for those, who do not know how to draw eyebrows, but still want to have the perfect looking brows. 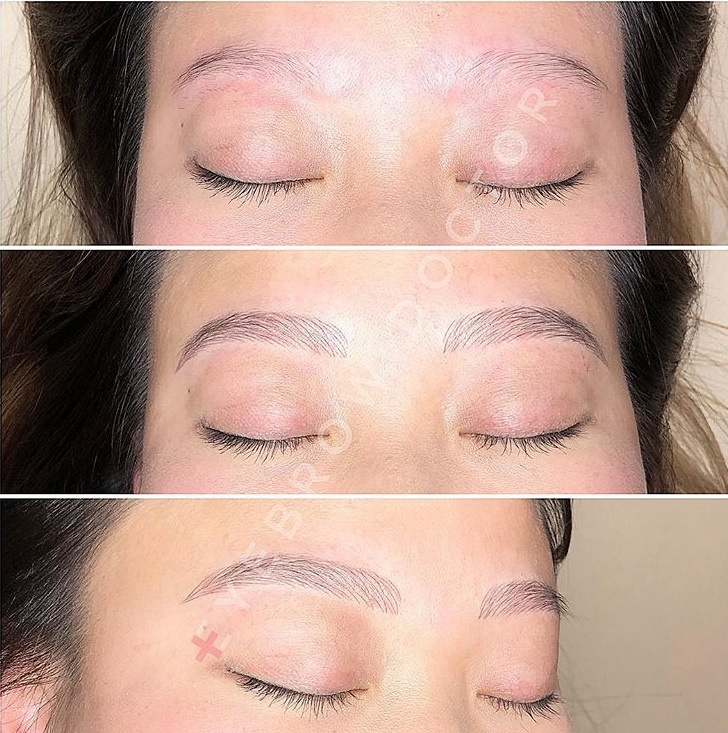 Microblading is a form of tattoo where the cosmetic artist draws or cuts eyebrows on the person with blades, and implants a pigment in the skin. The cut marks are hair like, that is, the artist draws hair like marks on the eyebrow area. The difference between microblading and conventional tattoo is that, a tattoo is done with a machine whereas microblading is done with hand held blades. Another difference, that can be said is that unlike conventional skin tattoo, microblading pigments are not implanted that deep into the skin. There are various types of Microblading such as microfeathering, ombre, microshading. Microfeathering is microblading done with light touch. It is done on person with thin eyebrows. Just adding some extra marks to get the brows in shape. Microshading and ombre are done to recreate the eyebrow with more fill ups. Microblading is done with blades of varied sizes and shapes. Microblading is not permanent like tattoos. It lasts for 3-4 years depending on how you maintain. Ava Piret is the pioneer of microblading. She has an Instagram page called eyebrow doctors. You can check her Instagram account and follow her.